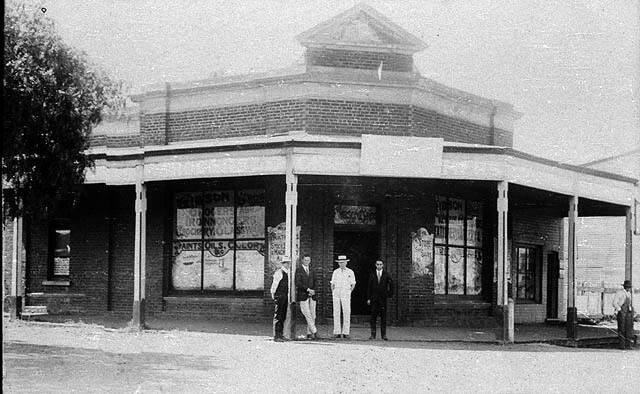 building which the bank then rented in 1903. 1921 Further additions were added. 1962 photo by Bill Morelli. 1970 photo by Lindsay Huxley. 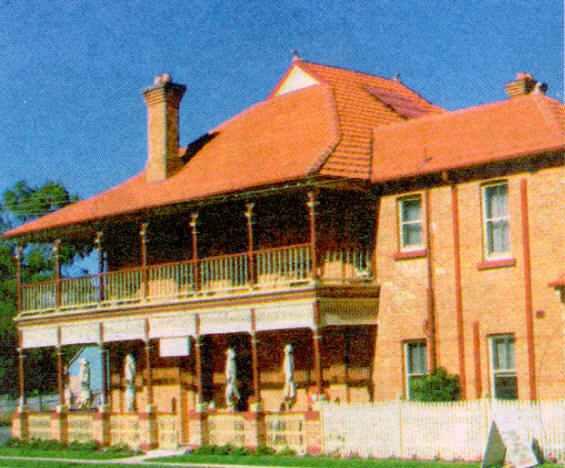 1977 listed in Annual Report as sub-branch managed by L. Huxley. 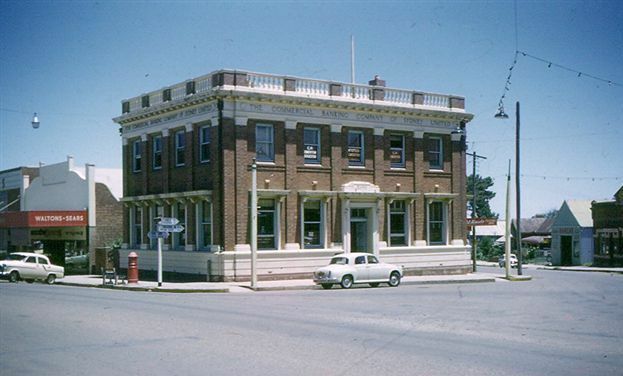 1985 the bank, by then NAB, moved to new premises and the building was sold says Geoff Chapman. 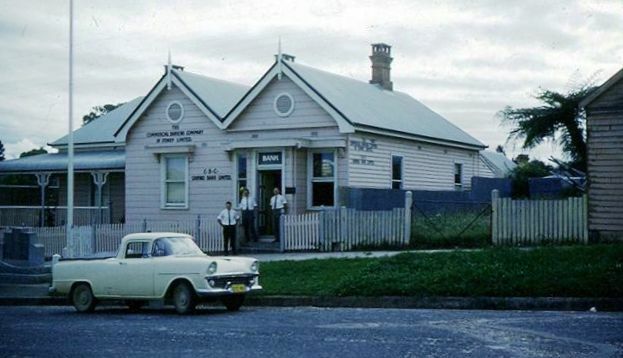 2008 Two photos by Jim Skinner who says: "My father used to run the agency at Pambula from Bega back in the 1940's as the full branch had been closed during the war with just the agency being maintained. (I think it may have been monthly). I can remember the interior quite well and the wonderful (for a small boy) pile of rubbish at the end of the back yard with old kettles, saucepans, etc. Yesterday (17/4/08), locals were quick to tell me about "the big strong room" but other bank style fittings appear to have been removed to provide an open area for tables - inside is certainly better maintained than it used to be. The front is now set up as a restaurant with living quarters behind and to the side. Unfortunately the restaurant was closed and we were told that the owner feels she is now too old to run it. " 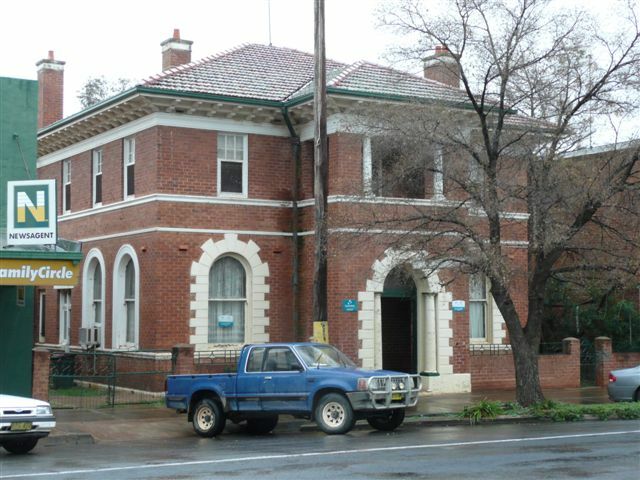 Tambaroora branch - 3km from Hill End) The first Manager was C H Barton, grandfather of Banjo Patterson. Notes from Geoff Chapman. Sepia photo on the cover of the CBC Australian Folksong Guide. See under 'Memorabilia' for more details. 1960 photo by Terry Burgess. 1960 slide photo by Bill Morelli. 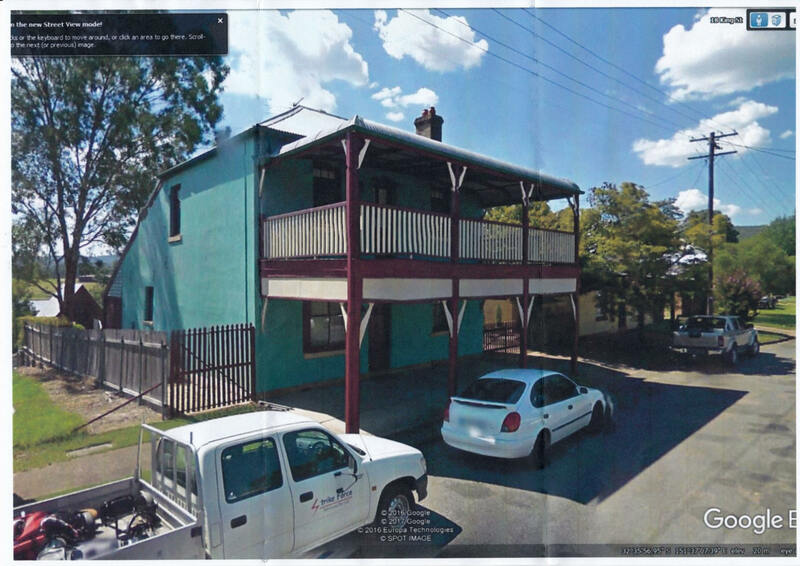 2009 July Google image of 230 Clarinda Street Parkes, unchanged since its CBC days, sourced by Geoff Chapman. 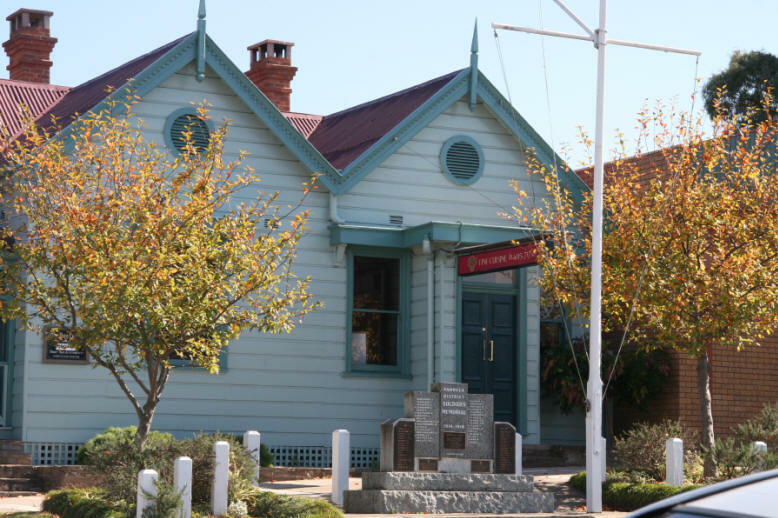 This building is historically significant as it has stood for over 175 years with the use of the building changing to suit the needs of the town. 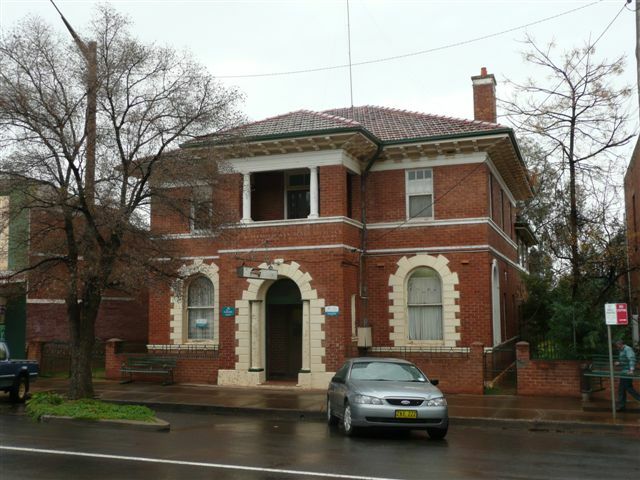 It was built as a residence for Dr Nind who was a surgeon stationed at Paterson to attend to the convict gangs working in the area. 1853 a Mr W M Read purchased the property from Dr Nind and kept a wine and spirit store until his return to England in 1858. 1858 to 1864 E W Long used the premises as an inn. 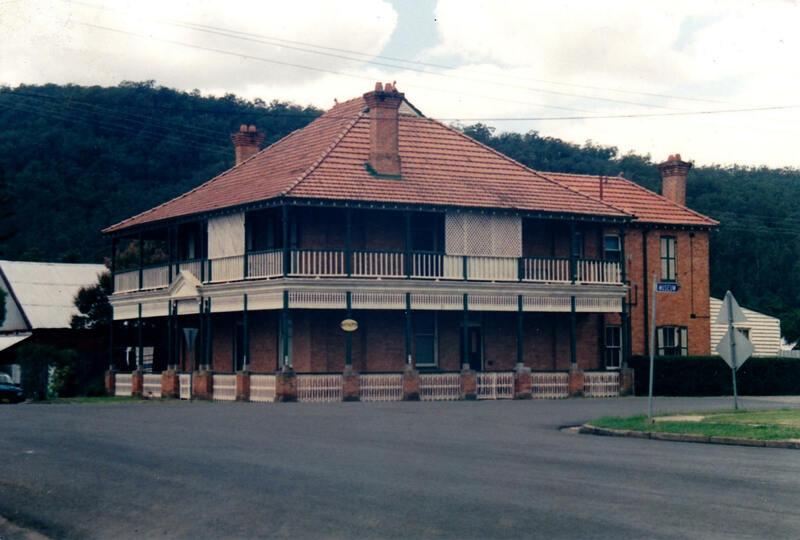 1865 to 1866 The premises were used as The Royal Oak Hotel. 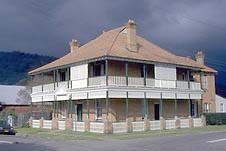 It continued in use as a hotel up until 1876. 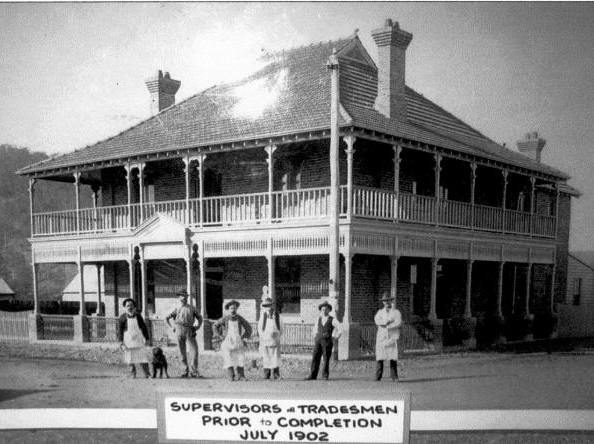 From 1882 to 1902 The Commercial Banking Company of Sydney Limited used the premises as a branch, until in 1902, it moved to new purpose built premises across the road. 2016 Google picture provided by Geoff Chapman. 1897 This is a Mansfield branch constructed between 1897 and 1902. 1902 July photo nearing completion. 1978 Listed on CBC Branch Managers List 032-150 (9/78) but not on list dated 4/79. 1999 local builder, Kevin Hawtin, and his wife, Moira chanced on an ad offering the building. It was, by then, a home. - two workmen spent three months with steel wool and solvents reclaiming the wooden staircase from generations of stain and varnish. - Ceilings are patterned pressed metal, so exquisitely restored and painted that the small squares of the design look like ceramic tiles, white with a terracotta motif under a lustrous glaze. 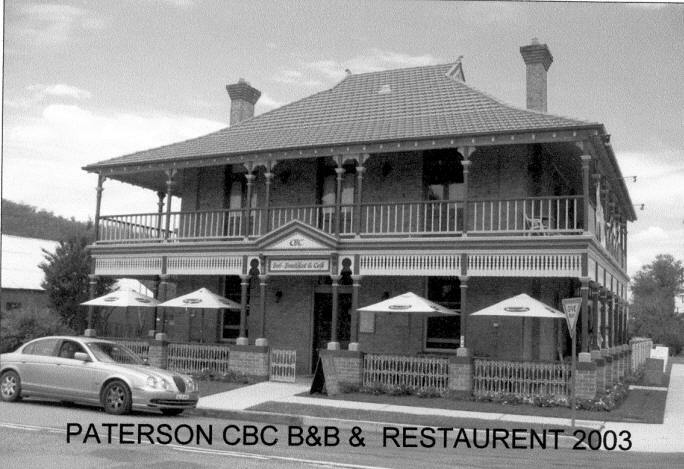 2005 it is the CBC Bed and Breakfast and Café - it's a good restoration of high-ceilinged rooms, trimmed with warm joinery of Australian cedar and American redwood, and floors of pale kauri pine. The rooms, all with good-sized bathrooms, are big, banking chamber in 2005 is a cafe. 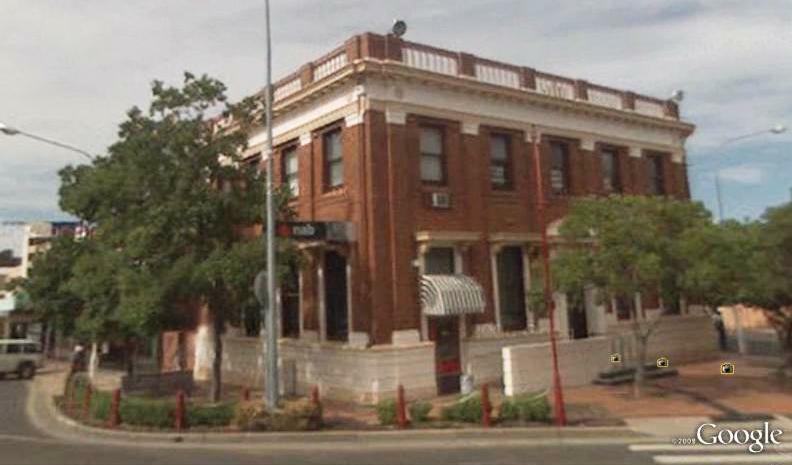 1901 August 14 Bank of Australasia (BOA) opened "to prevent BOA being forestalled by CBCofS as BOA was at Narromine"
1923 CBCofS erected substantial brick premises at about 88 or 92 Caswell Street (half way between Australia Post and 108 Caswell St?). Satellite image shows a building that could be CBCofS image previously shown previously claimed to be Commercial Bank Parramatta which it is not but same image claims it to be CBCofS Peak Hill in Peak Hill book?) from John Beer. 1934 Listed in CBCofS Century of Banking. 1939/45 war rationalisation of banking saw CBCofS close Peak Hill branch. 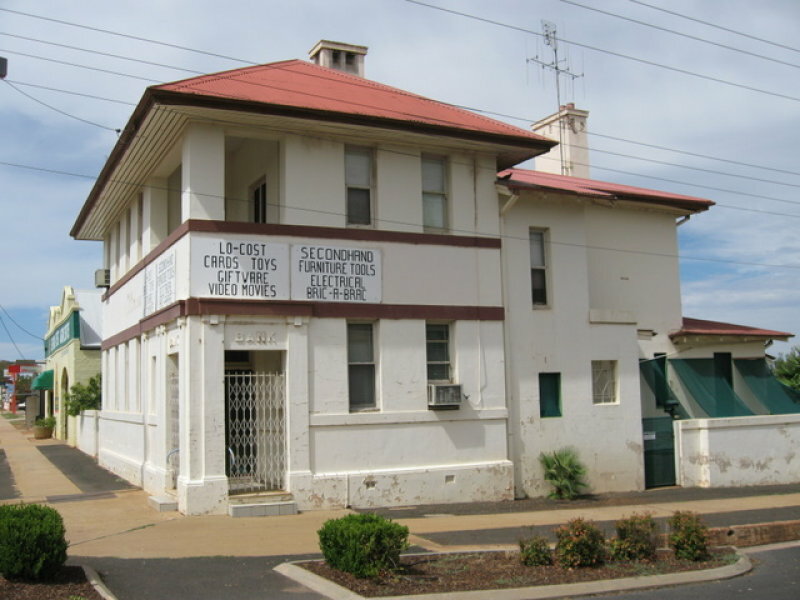 1942 September 28 CBCofS Peak Hill closed and business transferred to Parkes. Bill Frost advises that it was closed during World War II as a rationalisation of banking war measure and not reopened. 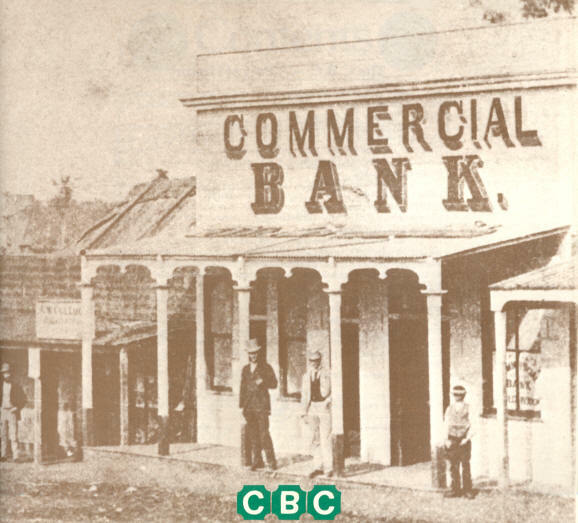 1942 October Commercial Bank of Australia purchased CBC of S premises next to newsagency for 3055 pounds (about 90 Caswell St?, about half way between PO & Wales?) page 223 of book "A History of Peak Hill & District"
1982 October 1 Commercial Bank of Australia merged with Bank of New South Wales when Peak Hill became a branch of Westpac. 1984 August 10 ex-Commercial Bank of Australia unified with former Wales branch at (?110?) 107 Caswell St.
2007 December White Pages Search revealed Westpac 110 Caswell Street Peak Hill (on the western side of Caswell St). 2007 December ANZ location search by John Beer showed no ANZ services at Peak Hill. 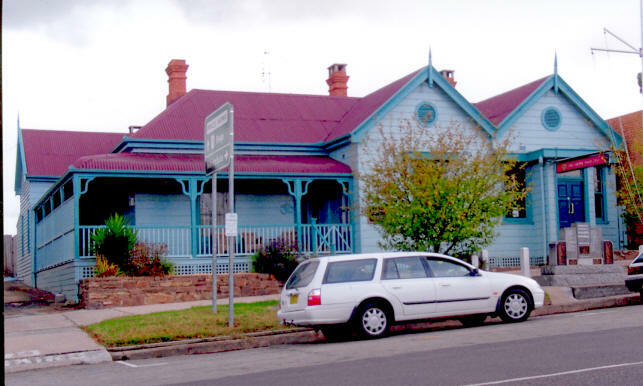 108 Caswell Street seems to have been ANZ Bank, sold in July 2007. 2008 Peak Hill photos of both the 1909 and 1923 branches from GoogleEarth identified by Geoff Chapman. 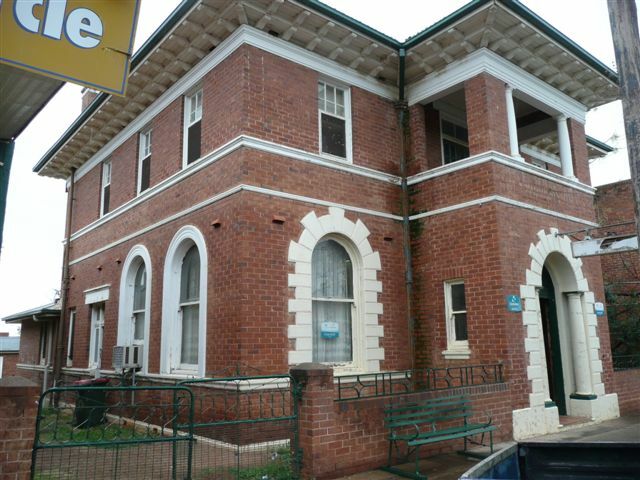 2009 August David Jobson provided 3 photos and advised: we came through Peak Hill last weekend and took these pics of Peak Hill branch.The building now belong to an Aboriginal Liaison group and is also the local Centrelink Office. 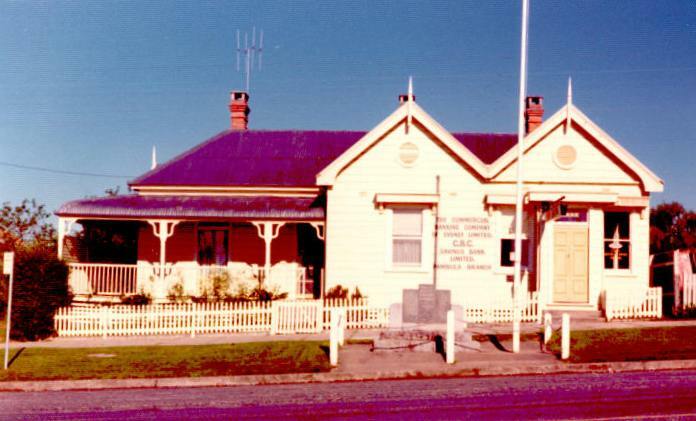 The group purchased the building a few years after the branch closed in the mid seventies. It needs some money spent on it but is in reasonable condition. The upstairs residence is closed off and not used. The strongroom had staff names on the back as per tradition when sold, but have since been painted over.